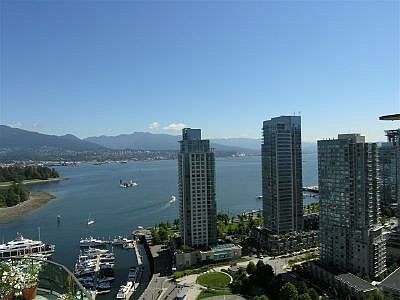 Coal Harbour Penthouse is located in the prestigious Coal Harbour neighbourhood of Vancouver BC. 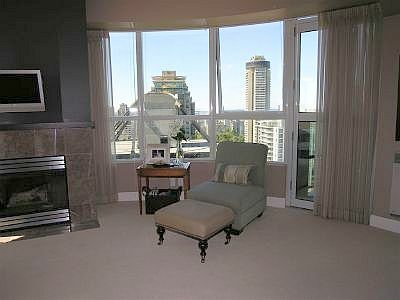 The building itself is adjacent to the World Famous Stanley Park and The Vancouver Aquarium. 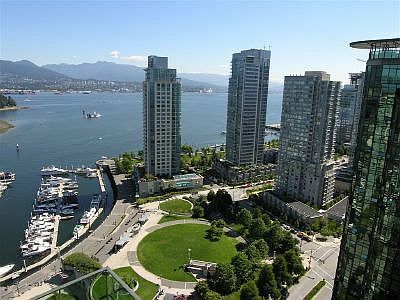 Just across the street you will find a beautiful marina as well as a large playground with a water park, perfect for a day out with the children. 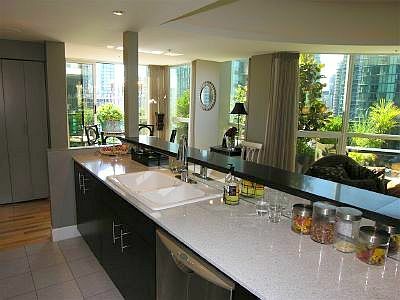 Make use of the seawall, which is right below the building, to go for a bike ride or a jog on the extensive network of trails..Coal Harbour Penthouse is just around the corner from the Robson Street shopping district where you can find an abundance of shops, cafes, restaurants and night life. 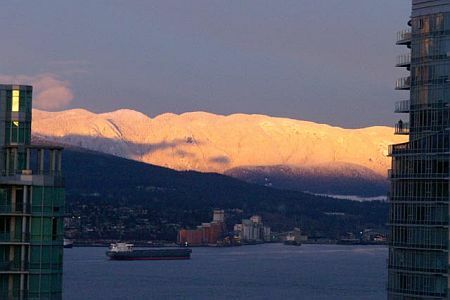 In addition, there is the Pan Pacific Hotel and Convention Center just a short block away which also houses the Cruise Ship Docking for Downtown. 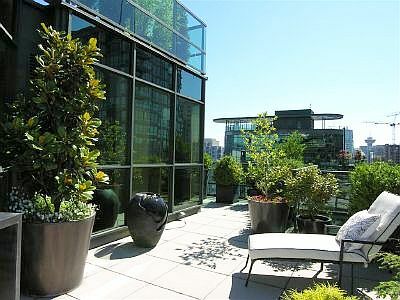 This designer furnished contemporary Penthouse unit is spread over the 26th and 27th floor and is a spacious 1600 square feet of spectacular living space. 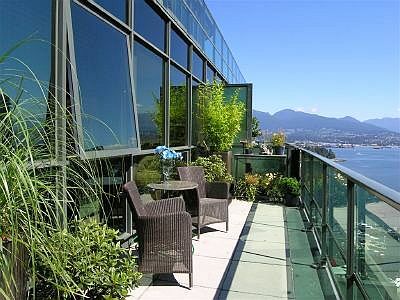 The condo features all hard woods on the main floor, air conditioning, floor to ceiling windows with panoramic views of the mountains and ocean, 2 fireplaces and a 1700 square foot wrap around outdoor terrace. 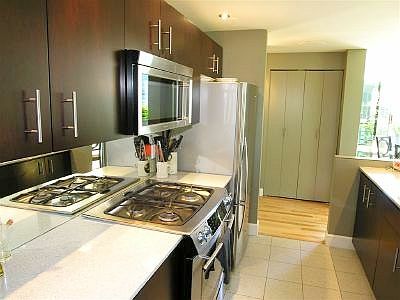 The kitchen, with it's stainless steel appliances, is perfect for any level of culinary experience. 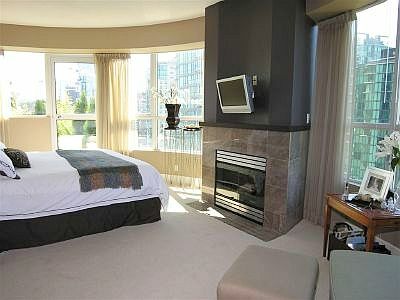 The master bedroom has plenty of room for the king size bed. 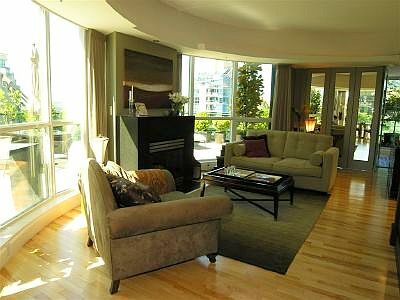 Additional master bedroom amenities include a lovely fireplace to create the mood and two terraces from which you can enjoy both the sunrise and sunset. 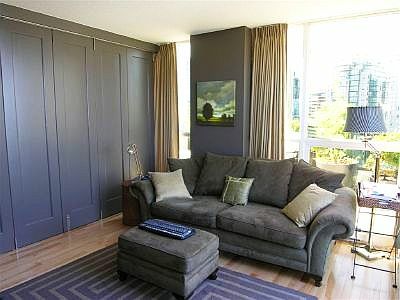 The second bedroom does double duty as a family room if it is not needed as sleeping space and there is a single bed in the den. 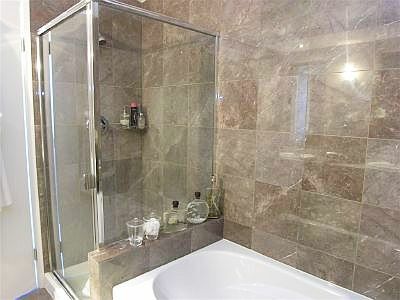 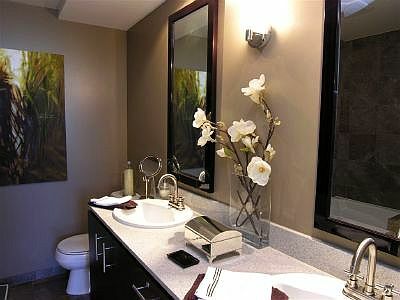 The 3 modern bathrooms are more than enough to provide convenience for you and your guests. 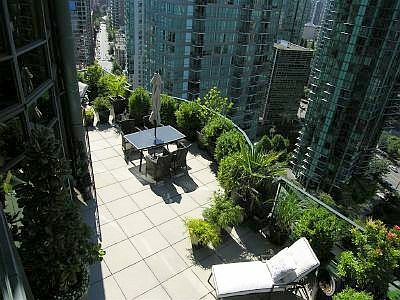 The 1700 square foot wrap around terrace has been beautifully converted into a tended garden in the sky. 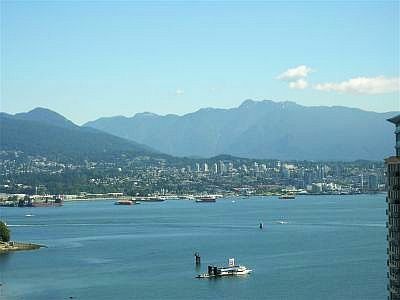 You will be amazed by the unsurpassed outdoor experience. 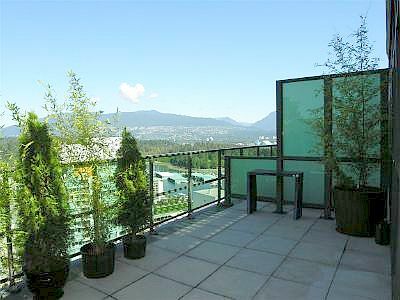 Greeted in every direction with mountain and water views, there are few better places to sit and drink in the beauty of Vancouver. 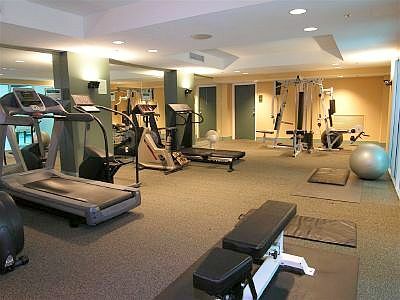 The building also houses an excellent selection of amenities which include a swimming pool, a hot tub, and an air conditioned gym. 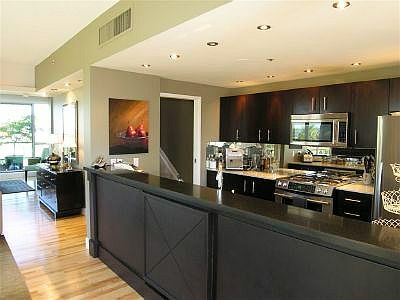 There is also a party room with a kitchen and movie theatre which can be booked for a low fee. 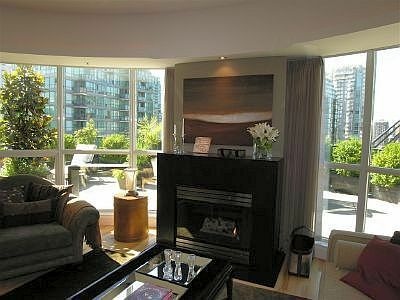 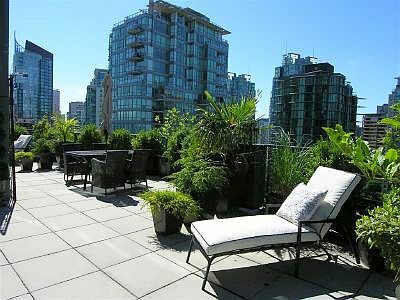 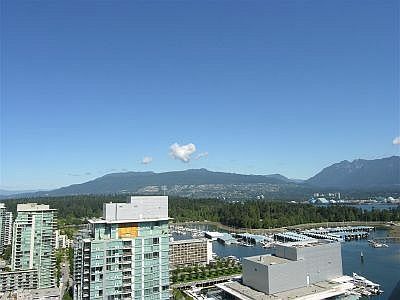 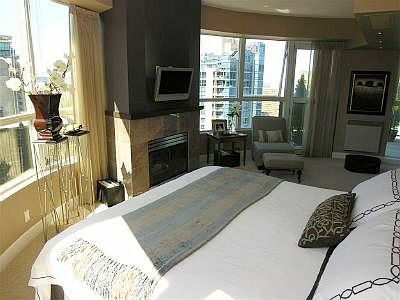 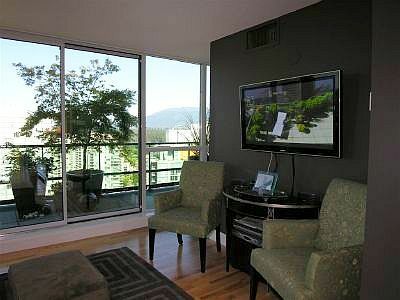 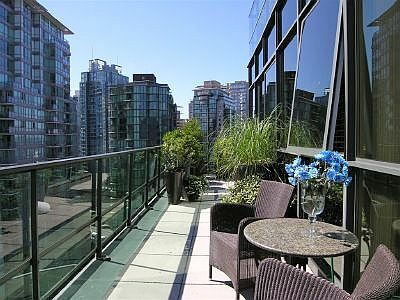 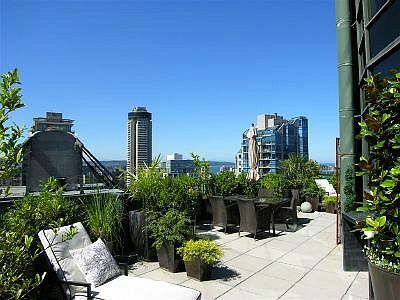 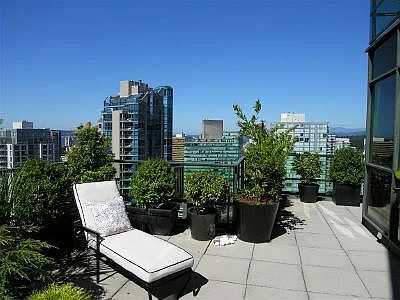 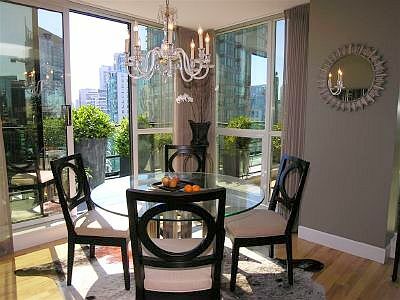 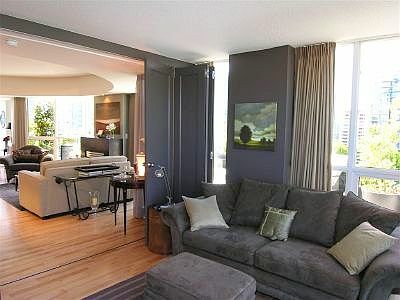 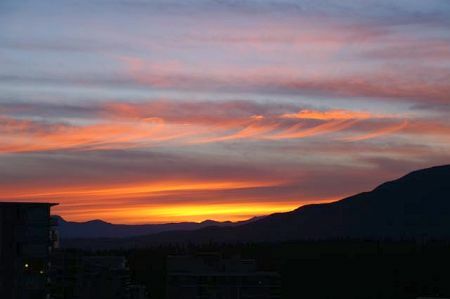 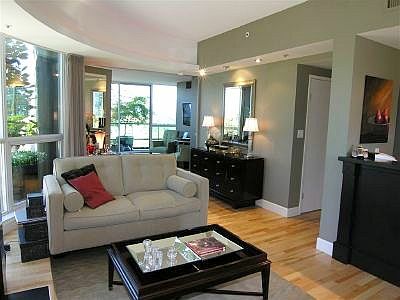 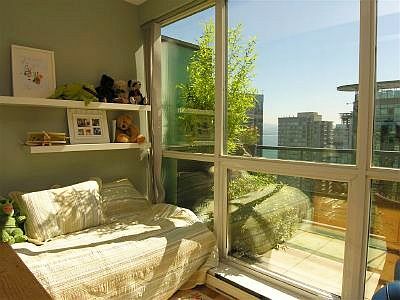 Be sure to book the Coal Harbour Penthouse quickly as a unit like this does not remain available for very long. 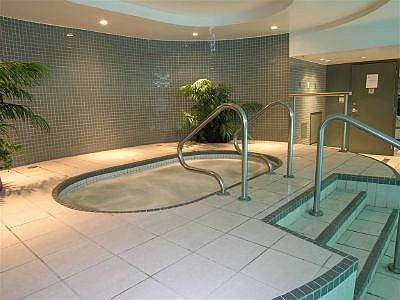 You will certainly not be disappointed.